You may think that by ordering a side of coleslaw instead of fries, you're doing yourself a favor. But one of the main ingredients in coleslaw -- besides cabbage, of course -- is mayonnaise. Because of this, your saladlike side is full of fat and is thus high in calories. 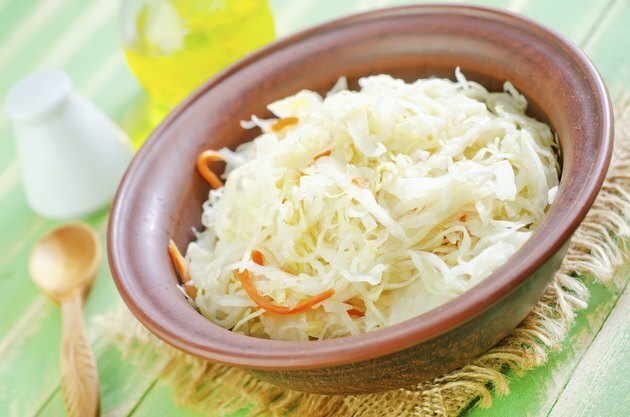 Having just 1/2 cup of prepared coleslaw adds roughly 150 calories to your plate. Depending on the recipe, coleslaw contains 9.5 to 11.5 grams of fat, accounting for 86 to 104 calories from fat. Typically, coleslaw has less than a gram of protein, which is fewer than 4 calories from protein. You will also get anywhere from 11 to 14 grams of carbohydrates, meaning 44 to 56 of those calories come from carbs.